Planted in the heart of the Barcelona’s modern Eixample neighborhood, a hidden oasis blossoms in the Mediterranean sun. Far from the chaos of La Rambla, visitors find peace and quiet in one of Europe’s most beautiful cities. 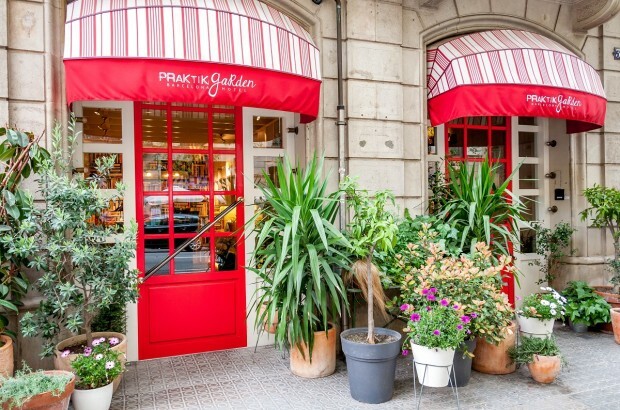 The Praktik Garden Hotel in Barcelona is a secret find for the visitor looking to enjoy the heart of the city in a relaxed venue. Set amidst contemporary restaurants, luxury apartments and office buildings, the Praktik Garden feels like a secret, hidden place. 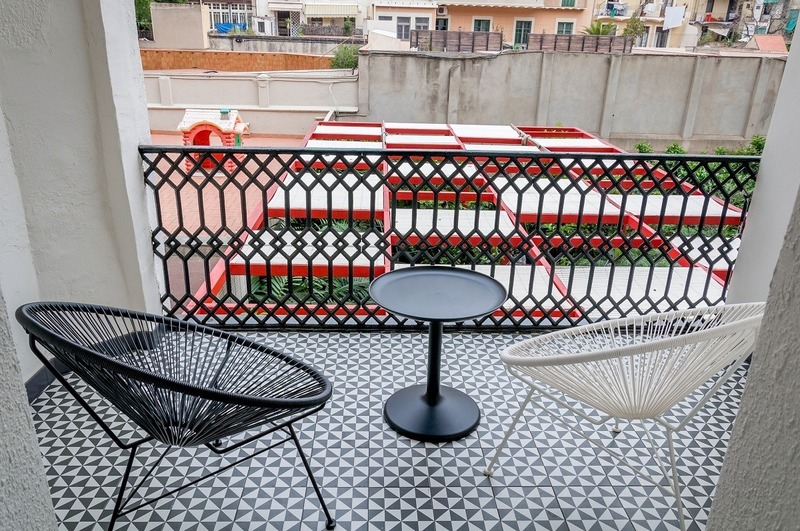 The hotel’s starkly minimalist design focuses the guest’s attention on the large exterior garden. During our five day/four night stay at the Praktik Garden Hotel, we noticed guests enjoying the outdoor space at all hours of the day – even in the rain. The Hotel Praktik Garden is one of several hotels in the Praktik Hotels family. 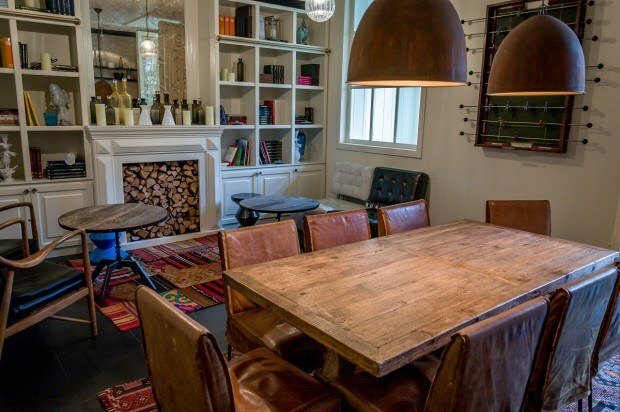 This group of boutique hotels has several properties all focused on different themes: one is a wine bar, one is a bakery, etc. 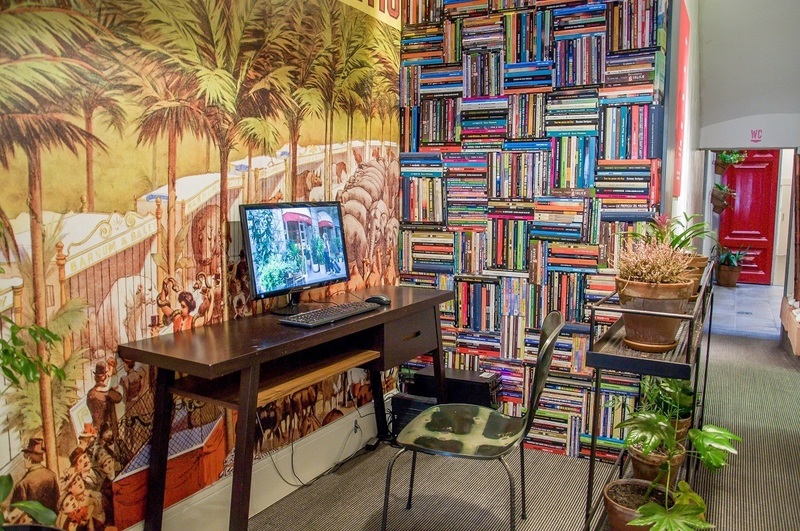 The Praktik concept is one we can get behind: luxurious accommodations in amazing locations with playful designs and inviting themes – all at reasonable prices. Check latest prices here for the Praktik Garden. The Restaurant: There is not an on-site restaurant at the Praktik Garden Hotel in Barcelona. However, the neighborhood features a spectacular array of restaurants including tapas, Thai, Italian and even Lebanese. The Norte Restaurant on the corner also serves a very economical breakfast. It is also in close proximity to the tapas restaurants in the Gràcia neighborhood. The Concierge: The hotel has helpful staff that all speak English. 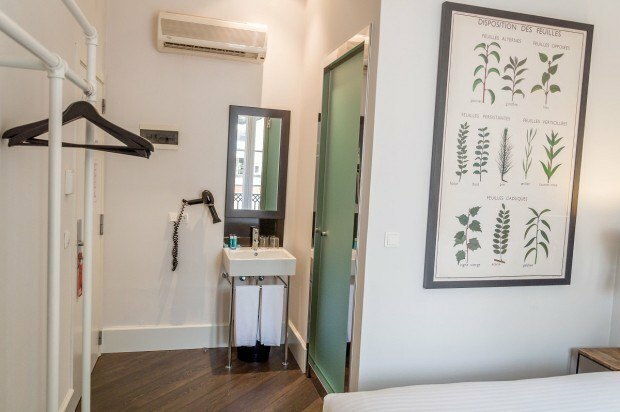 The Rooms: All of the rooms at the Hotel Praktik Garden were remodeled in early 2015. The open room design (exposed closet, sink in room) created a loft-like ambiance. In the superior room, giant doors lead out onto private balconies overlooking the garden. The WiFi: The hotel has excellent free wifi. It was very strong throughout the whole hotel. The Television: The room had a large flat panel TV opposite the bed. We didn’t watch any TV, but it was there if we wanted it. The Safe: The hotel felt very secure, but there was a safe in the room for valuables. There were also storage lockers on the main level to store larger bags out of the way. The Bathroom: The sink is located in the bedroom, but a sliding glass door separates the toilet and the shower. 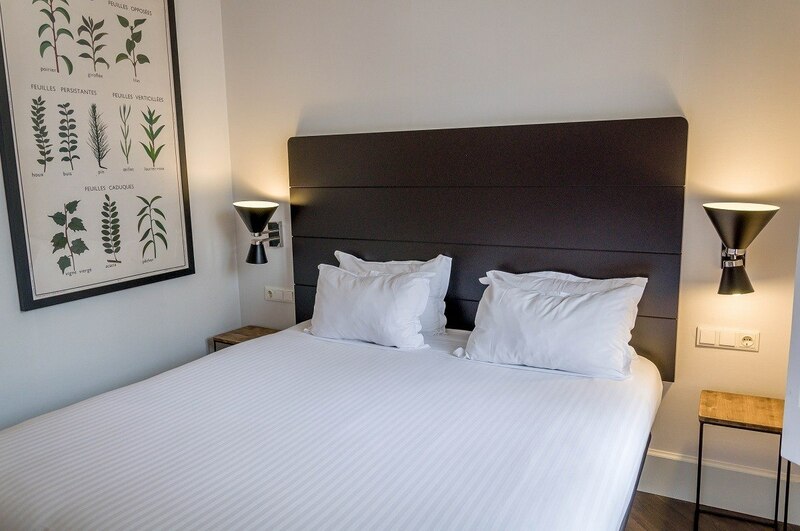 The Cost: Superior rooms at the Praktik Garden Hotel start at €84. Our superior room had a private terrace overlooking the garden. (Check latest prices here for the Praktik Garden). 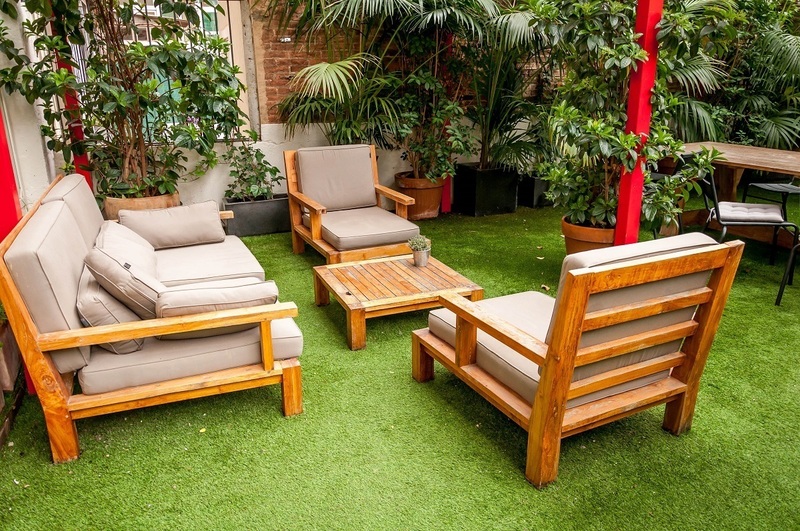 The Location: Located on Carrer de la Diputacio in the heart of the modern Eixample neighborhood. 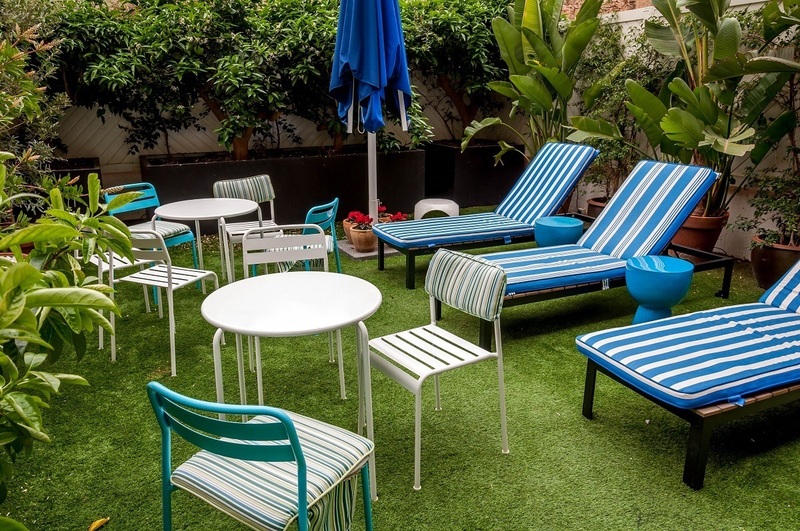 The Praktik Garden is convenient to all of Barcelona’s attractions (including many of the works of Antoni Gaudi), contemporary restaurants and modern offices. The Transportation: The hotel is just one block from the Girona metro station and five blocks from the massive Passeig de Gracia station, with metro connections as well as RENFE long-distance trains. The Airport Transfer: The train to the airport can be obtained at the Passeig de Gracia station. However, a taxi is most direct and efficient, although quite a bit more expensive. The Website: www.hotelpraktikgarden.com/. (Check latest prices here). The Praktik Garden Hotel is the perfect mix of location and cost. 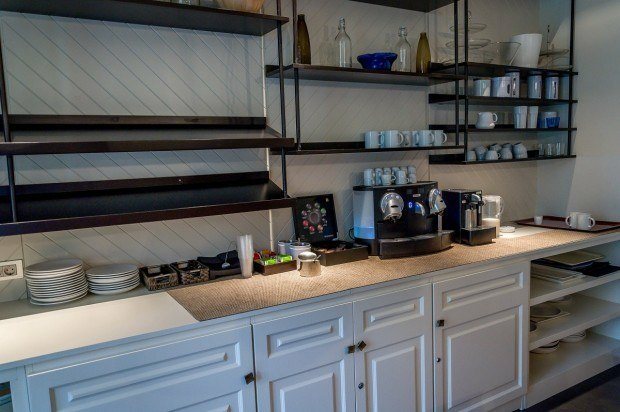 It’s very reasonably priced given the perfect location, access to transportation and restaurants in the neighborhood. The Praktik Garden is an oasis in Barcelona’s frenzy.